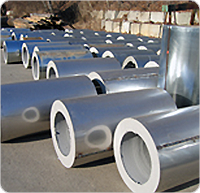 Refractory lined stacks could be used for 1800°F continuous and up to 2500°F continuous temperatures which are typically incinerator applications. Sometimes refractory lied stacks are suitable for freestanding applications where the refractory adds a tremendous stiffening factor for wind loading. Please allow us to review your equipment and project information to suggest best specifications. Certain oil and gas fired appliances state to use Type L Low-Temperature Venting Systems where the vent must be able to withstand 550°F continuous and up to 1700°F for 10 minutes (simulating a soot burnout). We’ll need the appliance Manufacturer and Model Number to make suggested specifications! Pizza Oven manufacturers typically specify that the exhaust shall be both Grease Duct and Chimney. We know these systems very well and require the Pizza Oven Manufacturer and Model Number to provide specifications! 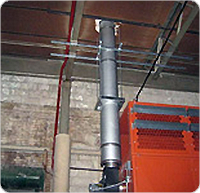 Mechanical Sales Co. specializes in providing the least cost venting system, but we realize that in certain situations, mechanical draft assistance is needed. We have supplied these for many existing situations where by chance Mechanical Sales Co. wasn’t called in from the start! We carry all the brands, so call us first for any motor or control replacements – a lot of parts are in stock! 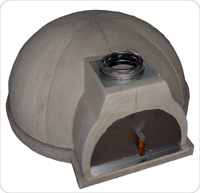 We stock the barometric dampers that also include a saddle so they can be added to existing vents (with a little sheet metal experience). However Mechanical Sales Co. knows exactly when these will be needed and always quotes and furnishes them as required by the Appliance or Code. 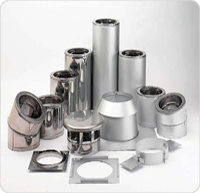 These might be single wall or multiflue designs and typically used in the industrial applications. However there are attractive ways showcase tall stacks and can present you with a portfolio of many options and materials/colors. From standard residential fireplaces to custom made restaurant and other aesthetic fireplaces – we can take care of the venting for you. 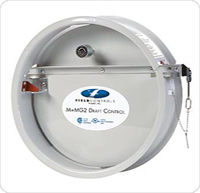 We can set down and review what you are looking at a multiple options you have for venting the flue gases safely to the outdoors. 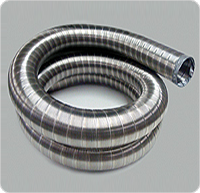 We sell residential and commercial liners, made in flexible and hard conduit styles. Materials might include aluminum, stainless, or AL29-4C and we need to know the Appliance Manufacturers Model Number to provide the correct specifications.